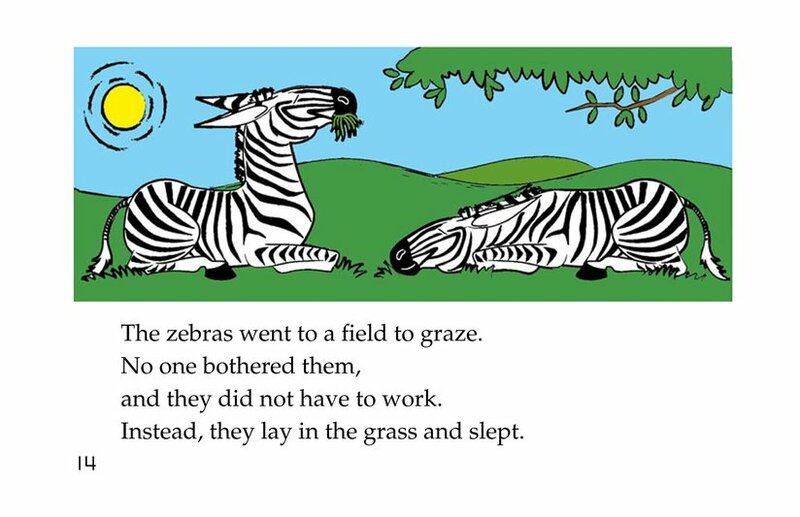 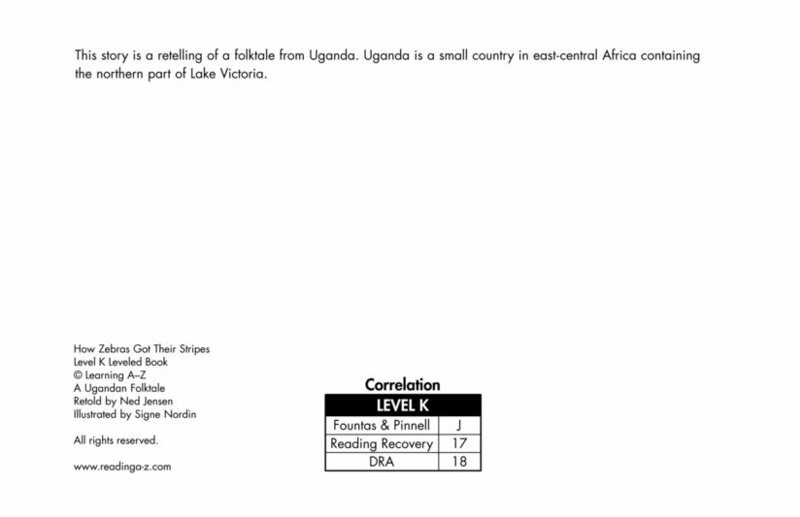 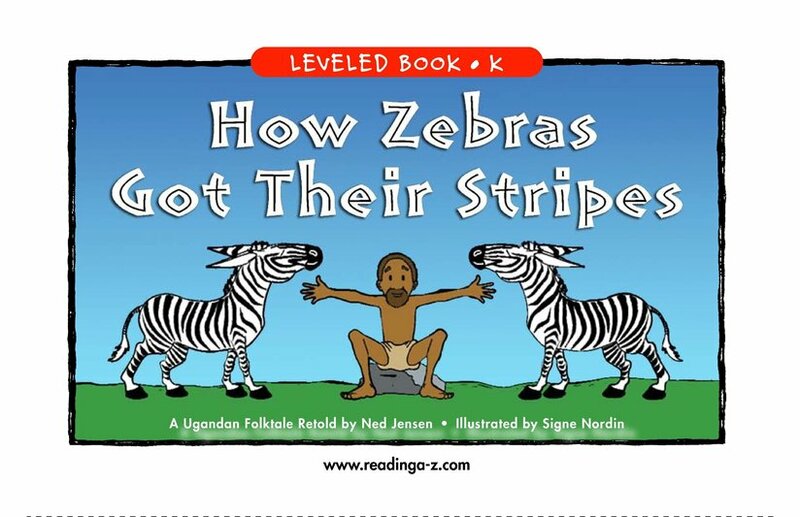 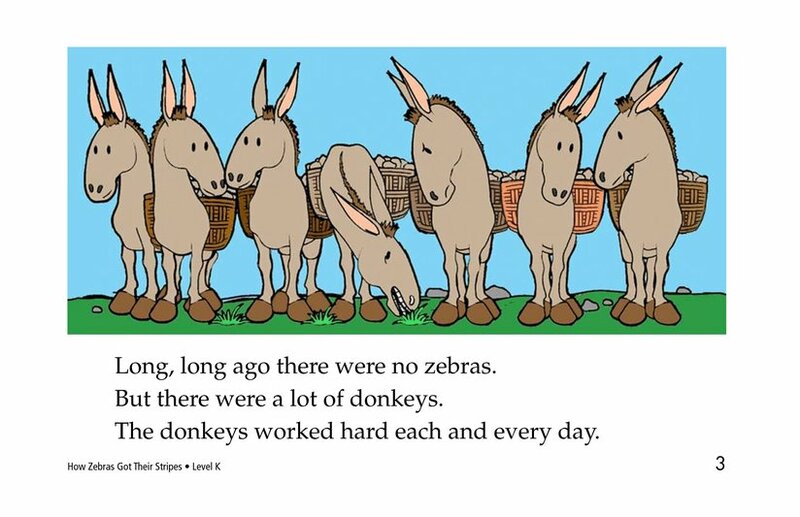 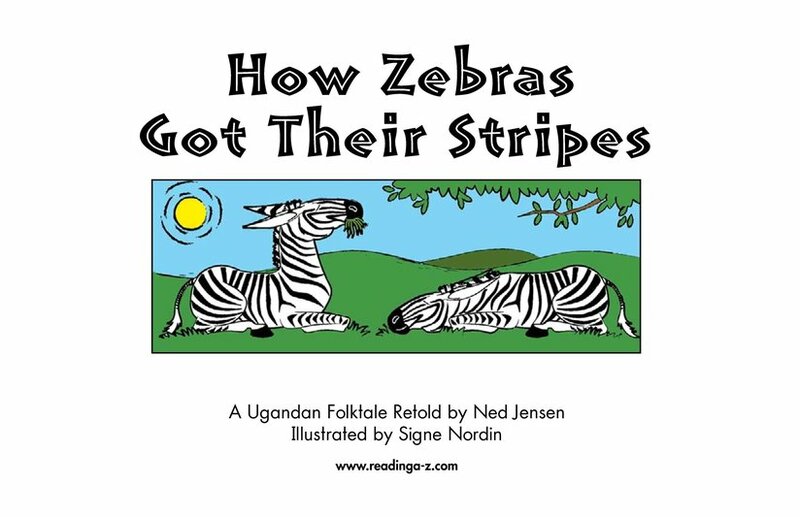 How Zebras Got Their Stripes is a Ugandan pourquoi tale about two donkeys that are tired of working and want an easier life. 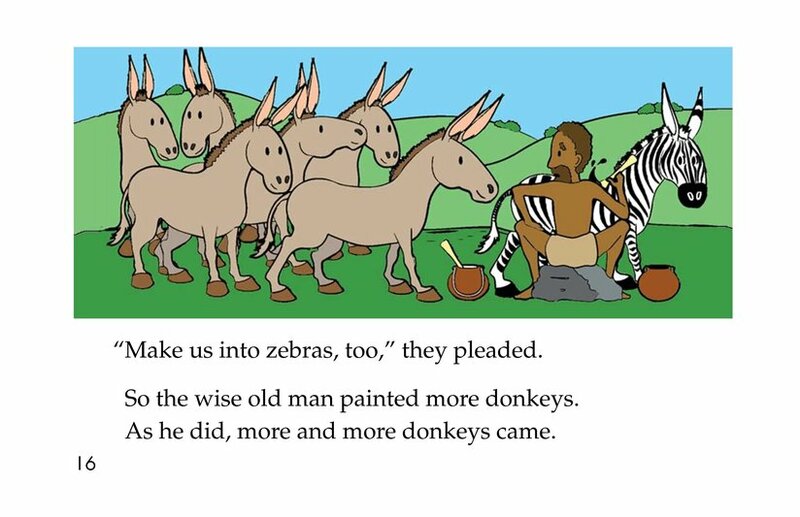 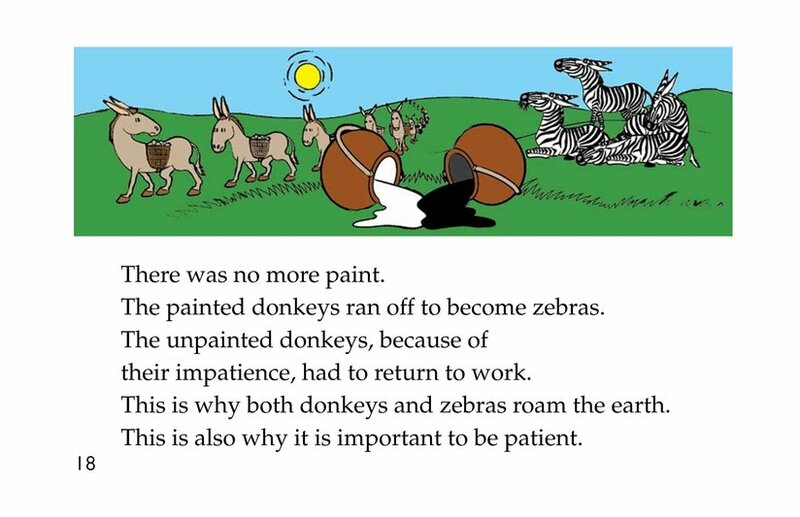 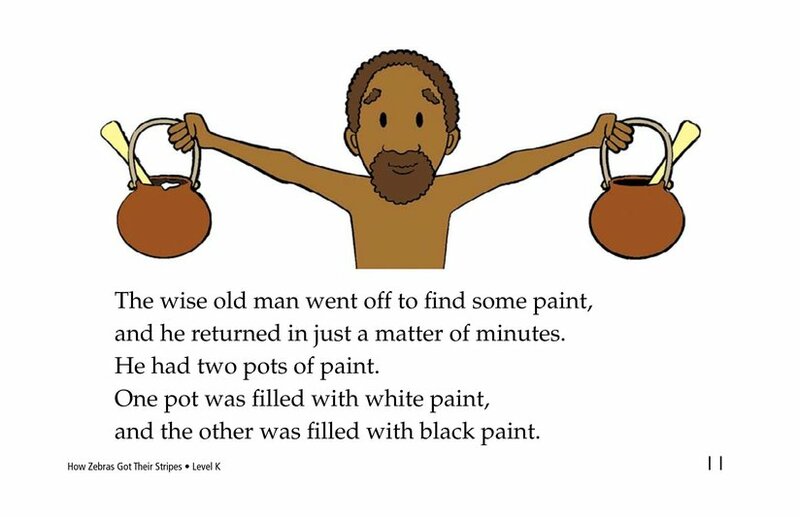 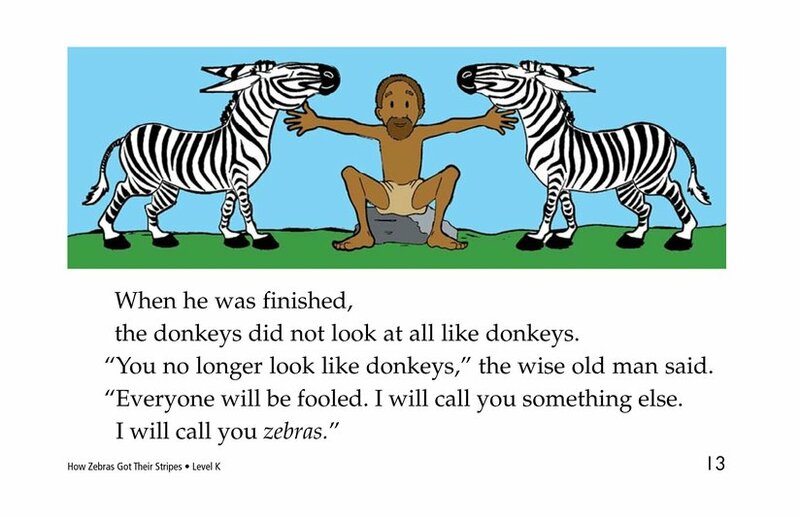 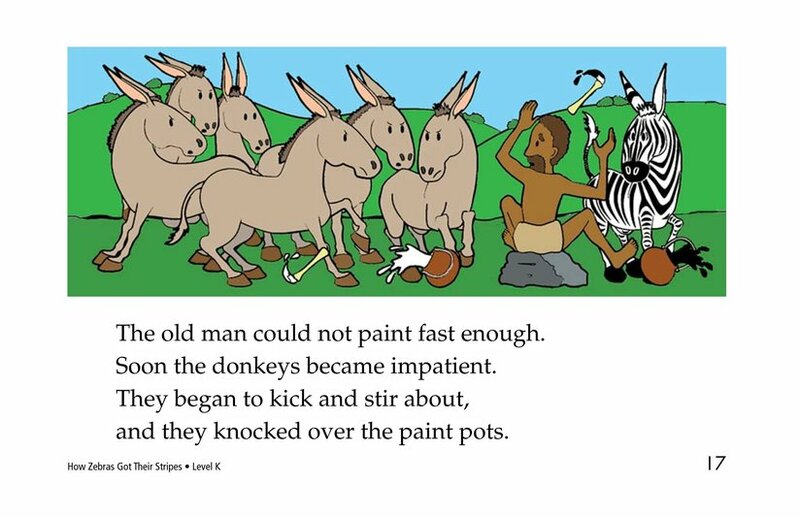 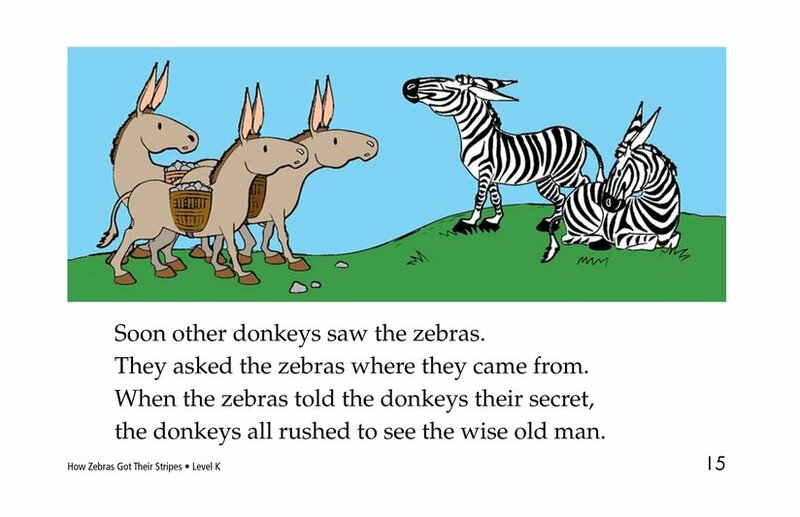 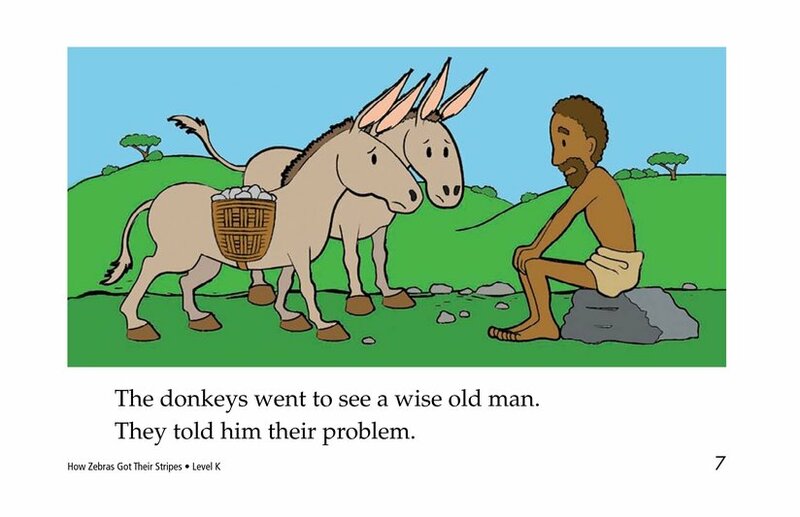 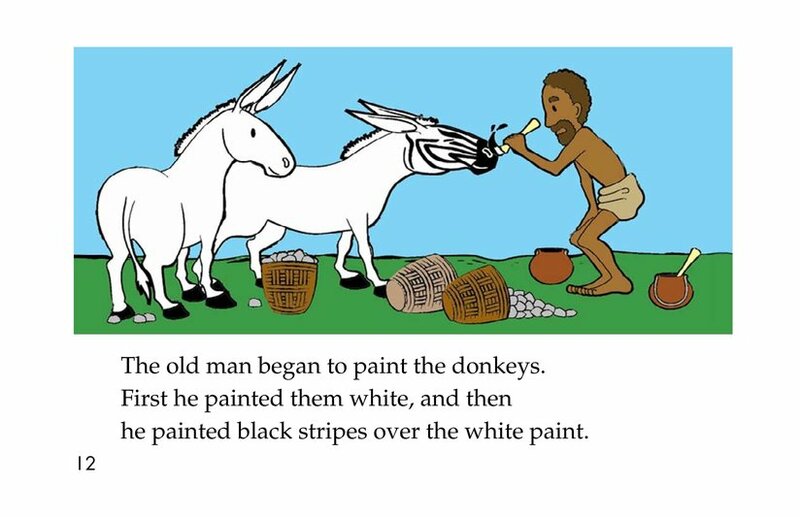 They meet a wise man who turns the donkeys into zebras by painting them. 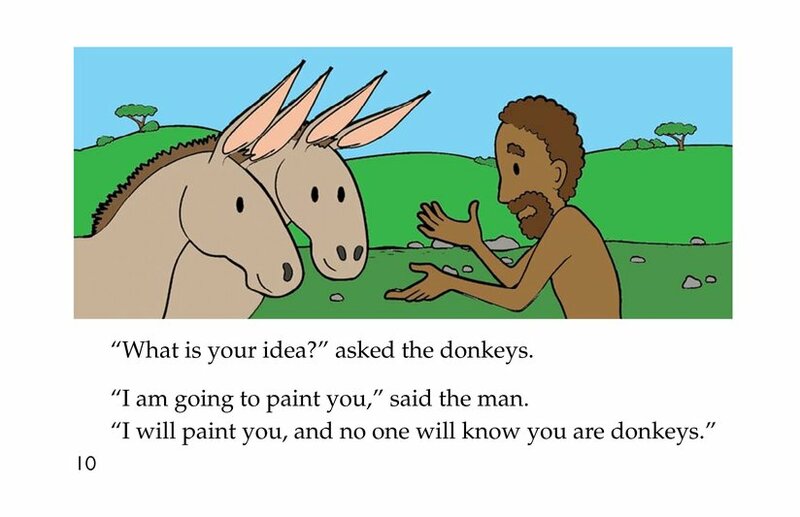 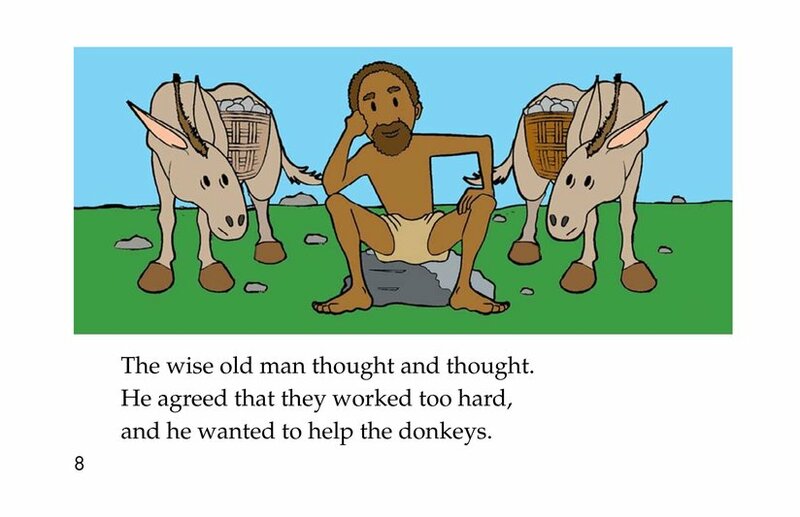 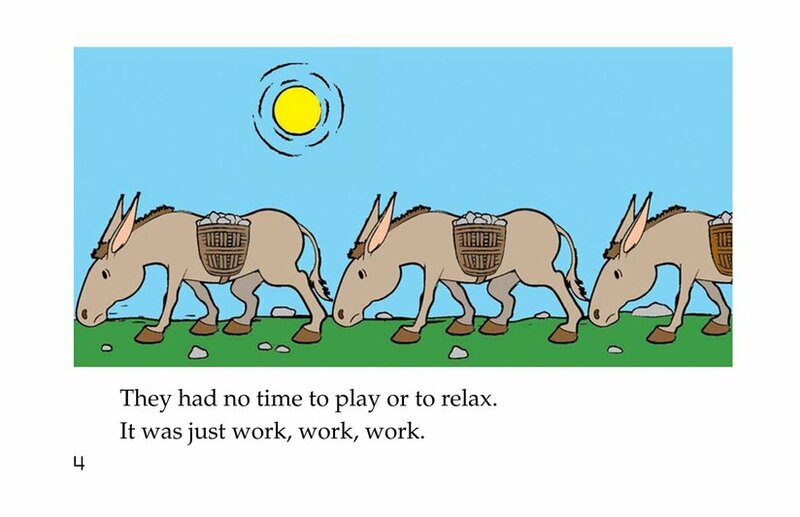 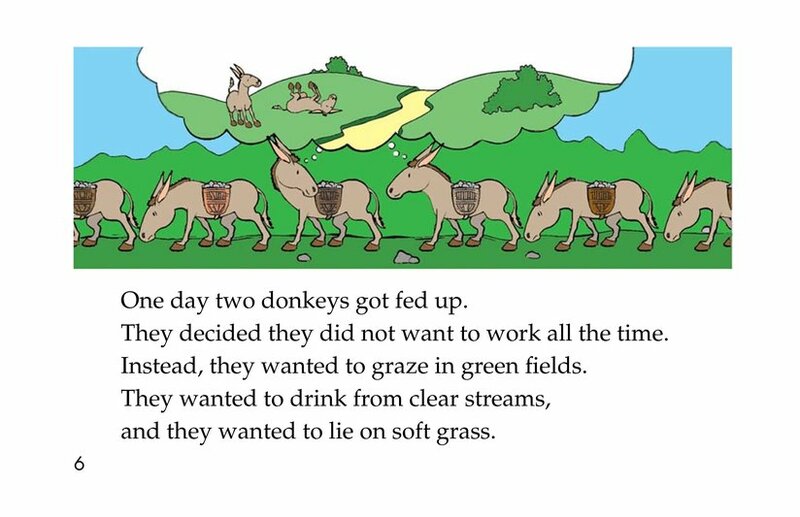 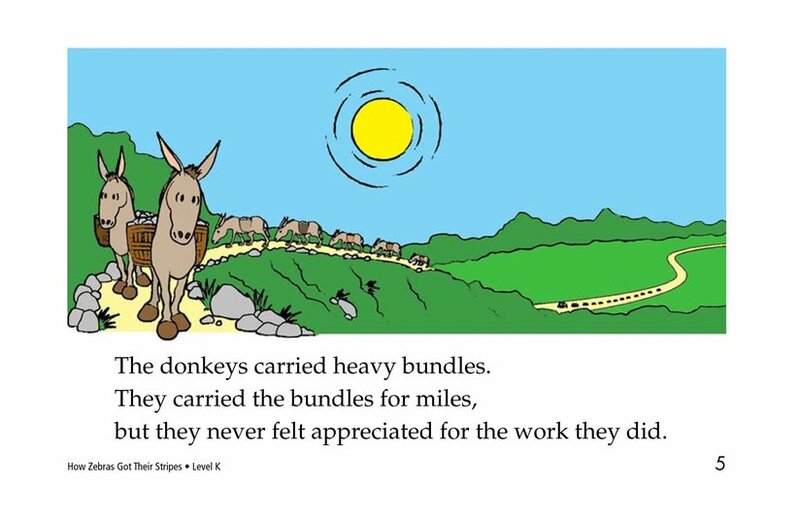 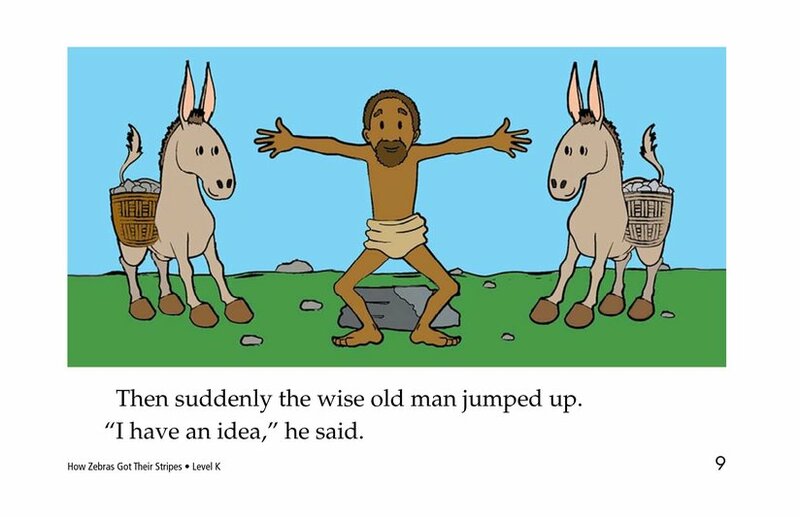 The idea catches on, but some of the donkeys run out of patience and pay the price.